I get emails and phone calls on a regular basis from people asking me for tips on getting started in voiceovers. It’s no surprise, really, since it’s a great way to earn a living, whether full-time or part-time. I think what a lot of people want to know is, what’s the secret formula for having a successful voiceover business? There is no secret formula – at least not one that I’ve ever figured out. It takes a lot of work. Everyone’s path will be different. It will probably take a long time before you feel successful. You’ll likely get discouraged along the way. Hard work and patience just might pay off. If you’re still interested, I’ll offer some ideas, tips and advice below. The format will be sort of Q&A using the most frequent questions I get. Q: People say I have a good voice, how can I become a voice talent? A: Having a “good voice” is fine, but there’s a lot more to voiceover than having a good voice. In fact, having a good voice may not even matter. Take Gilbert Gottfried as an example. He doesn’t have what most would consider the typical “good voice.” Yet he’s a highly successful voice actor. His IMDB page lists more than 60 productions with a credit as a voice. That doesn’t include commercials and other types of productions that aren’t listed on IMDB.com. A good voice can help, but you’ll need to know how to “use” that good voice. You have to understand how to deliver script copy in a way that matches the copy and what the client is looking for. That takes time, maybe some coaching, and lots and lots of practice. Q: I can do a great Homer Simpson or Porky Pig voice. How can I get that work? A: It’s great that you do those voices. But, it’s not likely you can be the voice of Homer Simpson since Dan Castellaneta has been the voice of Homer since the beginning. He’s also the voice for Grampa Simpson, Barney Gumble, Krusty the Clown, Groundskeeper Willie, Mayor Quimby, Hans Moleman, Sideshow Mel, Itchy, Kodos, the Squeaky Voiced Teen and Gil Gunderson. Meanwhile, Bob Bergen has been doing Porky Pig’s voice since 1990. Doing character voices is great, but use that skill to develop your own characters. The voices you create will likely get you more work than trying to imitate other well known characters. Q: Can I buy you a cup of coffee/lunch/a beer/something and pick your brain? A: No, but thank you for the offer. I know you’re sincere in your offer, but I honestly don’t want to do that. The main reason, is that my schedule is really full. I spend a lot of time working on my voiceover business. Not just recording and editing, but also invoicing, marketing, sending quotes and proposals to potential clients, following up with existing clients. And when I have some free time, I prefer to spend it with my wife and the rest of my family. Q: Can I call you and spend about 30 minutes picking your brain? A: Again, there’s really nothing more I can tell you on the phone than what I’m saying here. Side note: having my brain “picked” sounds painful. I have a vision of three big crows picking at a piece of roadkill. Ouch! Q: How did you get started doing voiceovers? A: It’s not really relevant to you getting started in voiceovers. You’ll have to find your own path into the business. But, okay, if you’re curious here’s the quick version. I was fortunate to start working part-time at a radio station in a small New Hampshire town when I was still in high school. A lot of my career was spent in radio and I learned to use my voice professionally. I recorded and edited thousands of radio commercials during my career. I also worked for a production company recording TV and radio commercials. It gave me a chance to learn from other voice talents and improve my skills. Q: So how did you move from radio to voiceovers? A: For quite a while, I did both. And by “a while” I mean years. While still working in radio, I marketed my voiceover services any way I could think of. In the pre-internet days I made copies of my demos on cassettes and later CDs and sent them to any place I thought might hire a voice talent: production companies, books-on-tape producers, phone installation companies, businesses with in-house media production, and so on. With the arrival of the internet, I built a website, did email marketing, registered myself on various voiceover marketplaces, etc. Again, marketing myself anyway I can. Over time, more and more clients hired me for various voiceover projects. Some of the clients only needed one project recorded. Other clients have used my services over and over. Some have been clients for two decades. Q: How long will it take to become successful? A: That’s like asking how long it takes to become a millionaire. Honestly, it depends on what success means to you. It also depends on how much work you’re willing to do to become successful. The voiceover business is not a “get rich quick scheme” like some people think. I’ve known people with radio experience who are looking for extra income and say, “I’ll just go pick up some voiceover work.” Okay, good luck with that. I’ve looked, and I’ve never come across any place where you can just “pick up” voiceover work. Q: How much time do you spend doing voiceover work? A: It pretty much follows the Pareto Principle. About 80% of my time is spent managing my business, with about 20% actually recording and editing voiceovers. Managing my business includes marketing, invoicing clients, updating my accounting records, working on my website, and all the other things that go into operating a business. Q: Should I work with a voiceover coach? A: Sure that might help. Having someone who knows the business can help you learn more about how to use your voice, how to market yourself, how to build your studio, develop your niche, and so on. Be careful, though, about who you hire as a coach. 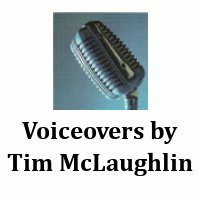 There are some really great voiceover coaches out there. And there are some not so great ones too. Do your due diligence and investigate the coach/coaches you work with. Talk to former students, do some deep digging on the web, and learn all you can before you part with your money. And, no, I don’t have any recommendations for coaches. Q: Can I hire you as a voiceover coach? A: No. I’ve done some teaching/coaching in the past, but it’s not something I’m currently doing. Q: Do I need my own studio? A: If you’re serious about being a voice talent you do. Clients and potential clients will expect you to turn around a voiceover project quickly. If you have to book time at an outside studio, you’re delaying the project, and you’re spending money for studio time. You either have to eat the cost or pass it along to the client. Q: How much do I need to spend on building a studio? A: That’s one of those “it depends” kind of things. Some voice talents have invested thousands of dollars in building a studio and buying equipment. Others have been able to do it for a few hundred. You’ll need to research this and decide what the best option for you is. I would suggest spending a minimum amount to get started and then upgrade as you get regular work. Q: Where else can I look for information? A: Use your favorite search engine and look up “getting started in voiceovers” and you’ll see tons of results. The Voiceover Entrance Exam – this is a free e-book written by Peter K. O’Connell, an experienced, successful voice talent. He wrote it a few years ago but it’s still a great way to learn more about the voiceover business. He gives you the positives and negatives of working in this business.